Gaddafi appeared to rehabilitate his image with the west particularly after the 2003 invasion of Iraq when it was felt he feared the prospect of a similar incursion on his country. Now, in France Sarkozy has been one of the leaders driving the NATO mission along with British prime minister David Cameron. 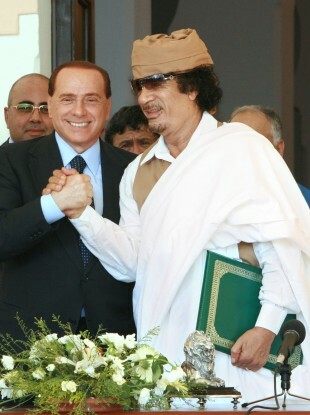 While in Italy, Berlusconi has embraced the National Transitional Council (NTC) which as much warmth as he once did Gaddafi. Email “How and why did the west change its view of Gaddafi?”. Feedback on “How and why did the west change its view of Gaddafi?”.